Players of a certain generation speak fondly of the days when metal spikes, kilties and wing-tip designs dominated the shoe market. How quickly these golfers have forgotten the heaviness and off-grass instability of old-school footwear. Today, spikeless is where it's at — comfy, performance-oriented models featuring multiple sole lugs, rubber cleats and other exterior gripping surfaces that keep you rooted to the ground inside the ropes and bouncing confidently on errands around town. We like the course-to-clubhouse-to-club versatility of these fashion-forward spikeless models, as do an increasing number of Tour players. Here are our picks for the best of this athletic, trend-setting bunch. 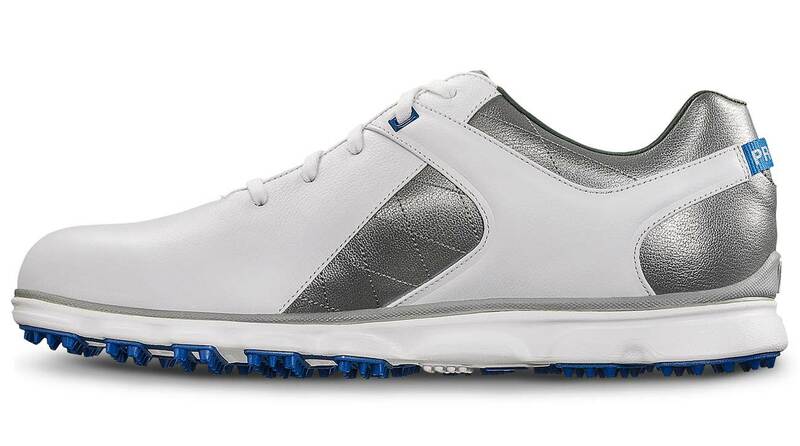 $159.99; footjoy.com The Pro/SL is not only one of the most popular shoes in golf, it's also big with Tour players, covering the talented feet of pros like Adam Scott, Louis Oosthuizen, Lee Westwood and others. Unlike the casual spikeless models of the past, the Pro/SL offers exceptional stability and support as well as all-weather performance. A combination of extreme foam cushioning and molded traction elements in the sole that can hold any surface provides the kind of comfort one would expect from a premium-priced shoe. A model with BOA's laceless closure system ($189.99) is also available for those who want a more exacting fit in the heel. 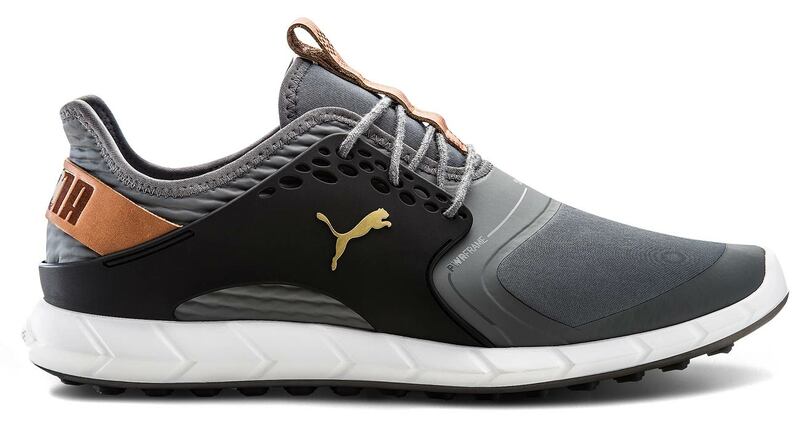 $120; pumagolf.com Puma's progressive take on shoe design continues with the stylish and athletic Ignite PWRSPORT, which features 39 multidirectional traction lugs in the sole as well as another 24 placed in critical areas that require more grip. Comfort is maximized through the use of Puma's proprietary Ignite foam in the midsole, a design that also provides energy return with each step as well as plenty of stability during the swing. For those who see the athletic, breathable design as "just a sneaker," the Ignite PWRSPORT also features a very strong, lightweight TPU saddle and a thinner TPU material in high-stress areas for Tour-like performance in all types of turf conditions. 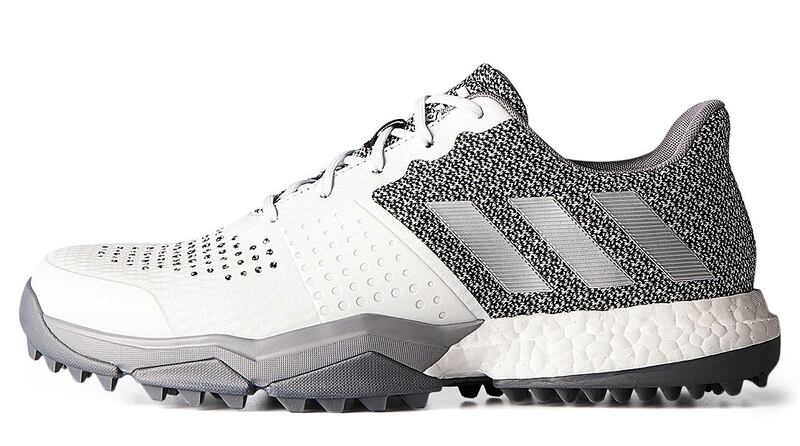 $130; adidas.com Always known for stylish athletic shoes, Adidas is a leader in spikeless designs, evidenced this season by its Sport BOOST 3. Worn regularly around the world by Justin Rose, among others, the shoe features highly breathable waterproof uppers for dry feet in a variety of weather conditions, as well as a Puremotion outsole design with external traction elements for enhanced grip and stability. 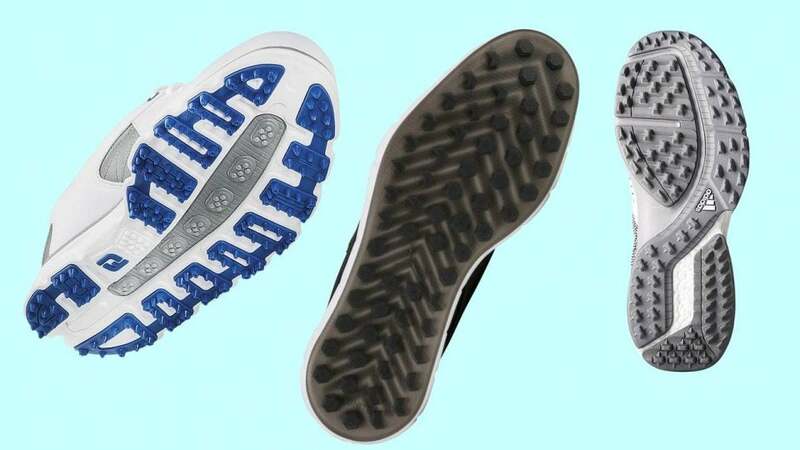 A slightly rounded toe shape and wider area in the front of the shoe improve traction and comfort, while foam sockliners mold to your feet for improved fit. The Sport BOOST 3 is also built with an "Energy Sling" design that helps direct energy transfer more efficiently.